I am officially an author! Whaa!? Yeah, this is real life. - and wherever books are sold! 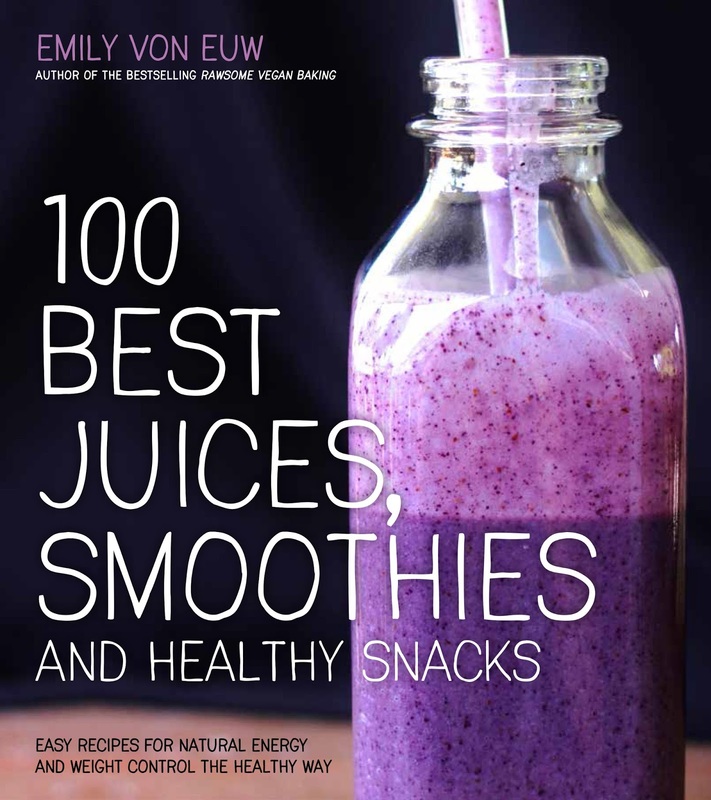 Me second book is called 100 Best Juices, Smoothies & Healthy Snacks and the title basically says it all: it's filled with raw, vegan, wholesome recipes for juices, smoothies, soups, mylks, mylkshakes, and healthy snacks like kale chips and energy bars. Nearly every recipe has a full page colour photo to go with it, and I provide chapters on recommended equipment, methods, ingredients and more! This a perfect cookbook for everyday recipe making. 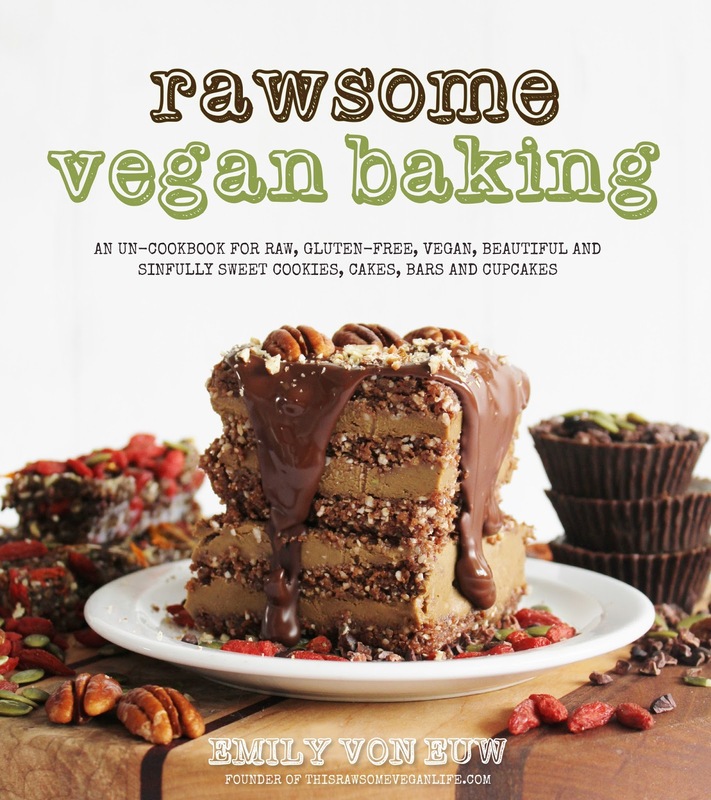 My first book is called Rawsome Vegan Baking and it's all about raw, vegan and gluten-free desserts. There are about 100 recipes, all with their own full page colour photo. There are also chapters about equipment, ingredients, storage, and useful tips. 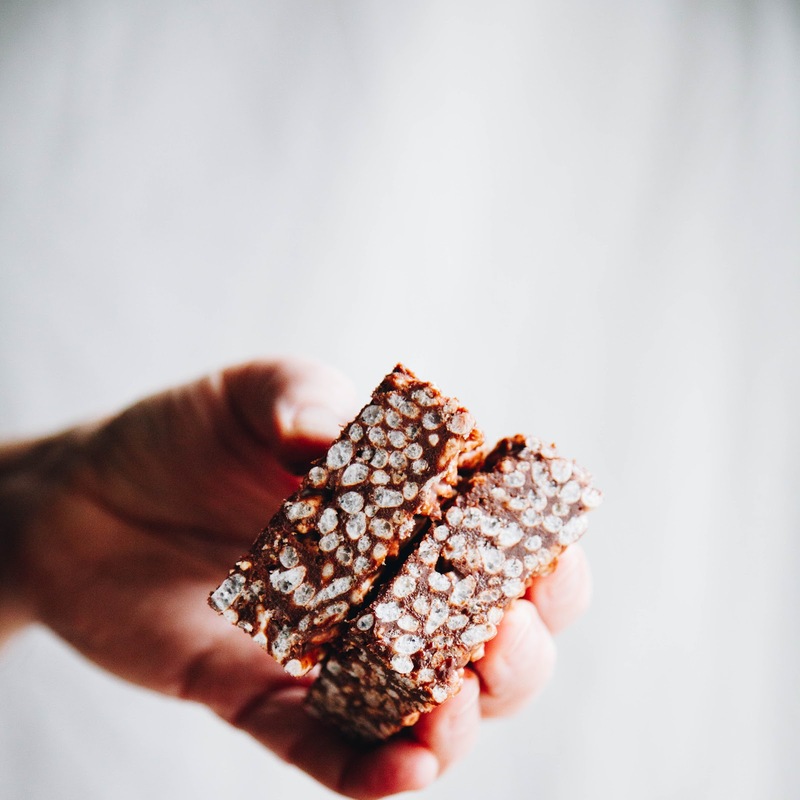 I want you to get this book and rejoice at the endless magical possibilities that come with simple, wholesome ingredients like dried fruit, coconut oil, seeds and nuts. Emily, I echo Hasna's sentiments. You are a treasure. When will you be publishing your next book (interim e-book? )with recipes for main meals? In the meantime, of all the resources you list, which do you recommend for cookbooks that match your style of recipes? sewhat a brilliant blog! thanks so much. I would like to go more raw an vegan specially when it comes to desserts but I have nut allergies so can't have any nuts. Are there alternatives? Are many of the recipes on the blog in the book? I would love that to be the case. Thanks. @Paige Greenway - I mention it a few times but it's not really focused on that. However I am planning on making a video about that topic soon! Stay tuned to my youtube channel! Hands down the best raw food book I've ever read! Thank you so much for letting me share it with my readers Emily! :) YOU ARE AMAZING! Bought your book for friend's birthday. She is a life long baker who has recently become vegan. She was over joyed to have this as a resource! I was even shocked your book has so many more delicious recipes than what is posted online. I cant wait for your next book, i hope it will be meal recipes with the same beautiful photos! Hi Em, I like your blog but I have to say that I am surprised at your decision to publish a paper book. Publishing a book is not environment friendly at all. Why do you need to kill trees in an era of ebooks? Yes, I and all readers around the world love holding paper books but I actually prefer not killing trees. You can be a fully legit published Author (yay!) AND paper-free. Lemon Dream Pie and Cashew Coffee Vanilla Creme Cake. I have a question regarding Coconut Cream made with canned coconut milk. Why don't you use Coconut Cream instead of the coconut milk? (My coconut milk stayed in the fridge for several days, but never got hard.) Any thoughts? So awesome!! I don't have much of a sweet tooth though:/ will you be coming out with any other books about being a raw vegan or any other recipe books? i'm definitely interested! And yes--I'm going to buy the actual book someday, too. Hehe. Hi Emily! I´m from Argentina and I had discovered you web yesterday. It is so awesome that I try to do the Carrot Cake frosting and It´s wonderful. Thank you!!!!! I would like to buy and read your book. Could you send it to Argentina? Thank you!!! Your web is incredible!!! 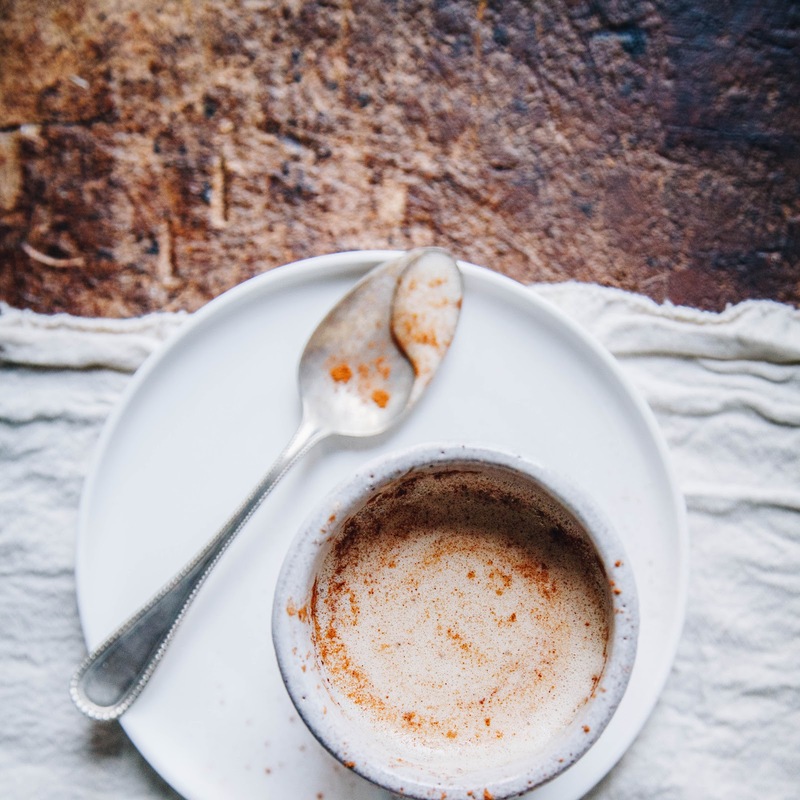 I love it and I had a lot to recipes to become a raw person without boring!!! Thank you so much for do this!!! I live in Mexico. Where should I go to get your books? Thank you for your recipes! hi emily, i just discovered your blog after googling raw vegan diet, which i am wanting to switch over to permanently. i have been a somewhat unhealthy vegetarian for the past 30 years and now want to eat well all of the time. i just ordered your juice/smoothie book. i can't wait to try out some of the recipes! I just bought your juice and smoothie book, along with a BlendTec blender! (Respect to your Vitamix, but it's just too big for my tiny kitchen) I'm so excited to get started making wonderful, healthy things! You are such an inspiration, thanks so much for what you do. Bought Rawsome Vegan Baking and tried the Hippie Halva.....I tried the food processor and the sesame seeds never ended up like a nut butter as the recipe suggested. I even put the sesame seeds in a coffee grinder before my food processor hoping that would help the process along. 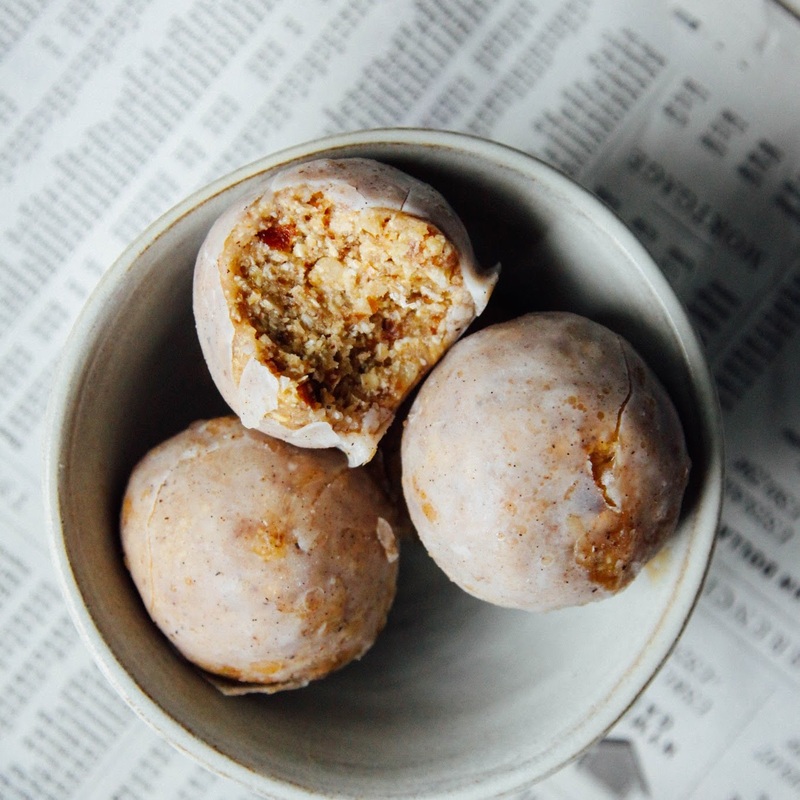 After adding the dates and leaving it in the frig for a few hours....the halva was just a crumbly mess......I squished it together with my hands to form little balls....and that was the only way it would stay together. 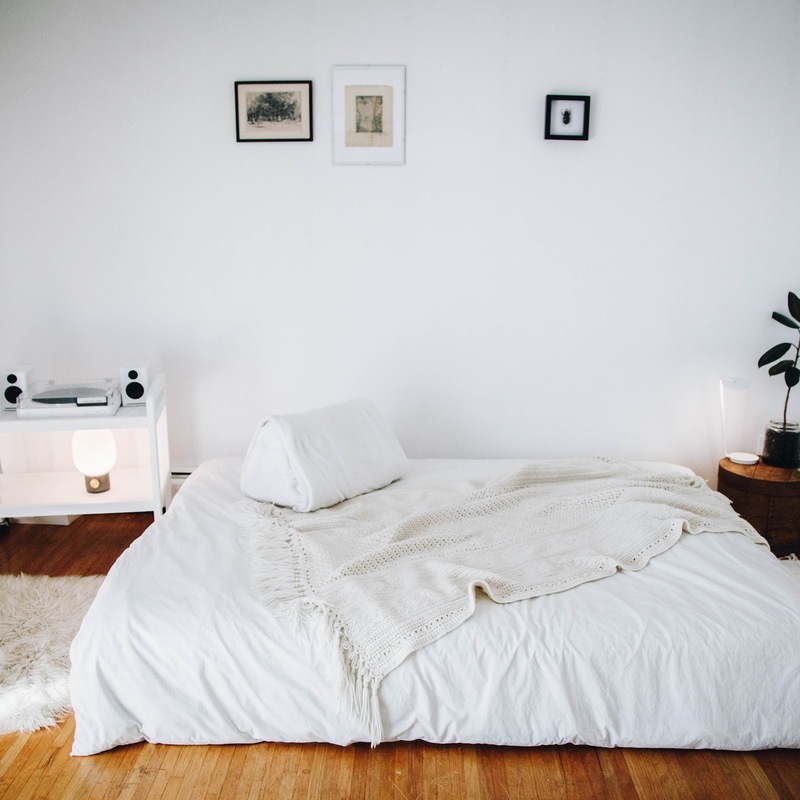 I just found your site today and its amazing! I just ordered all 3 of your books (will patiently await them) ! Thanks for sharing your insight, talent and raw life! 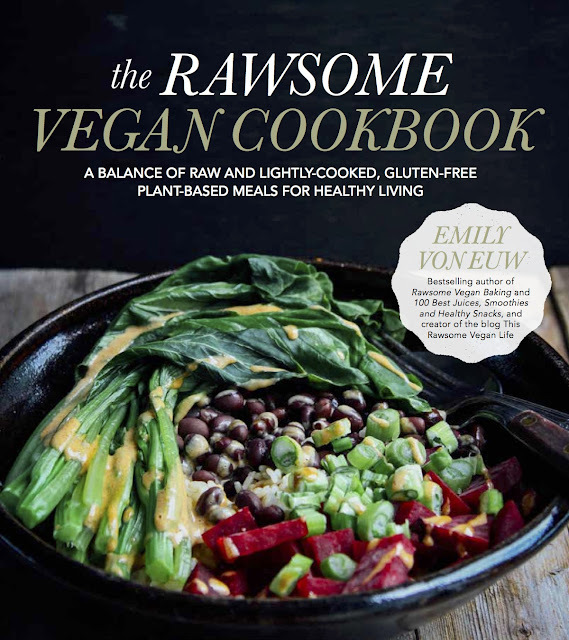 Hey Emily, I finally got your lovely rawsome vegan (un)baking book, just today, ordered it from the Waterstones in Brussels, Belgium! It is a treat! I think, after I made all of your tasty recipes or at least a few of them, I will review it on my blog! yes! We really love your new cookbook! The recipes are so delicious and healthy and the book itself is beautiful! I am considering to become vegetarian and this post had helped me make my decision. 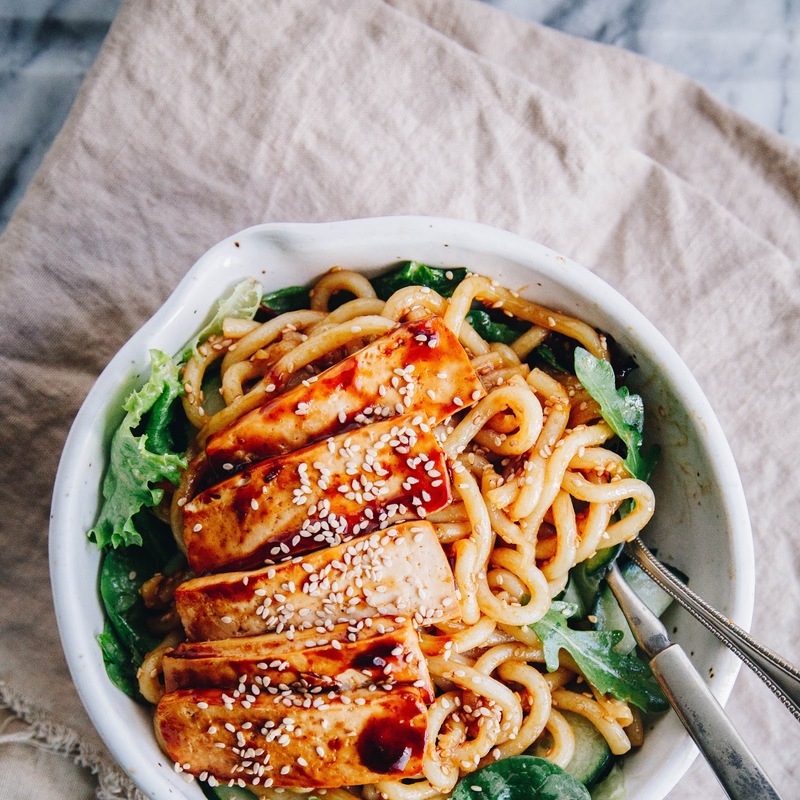 You know how they say that we eat the same 10 recipes over and over again? 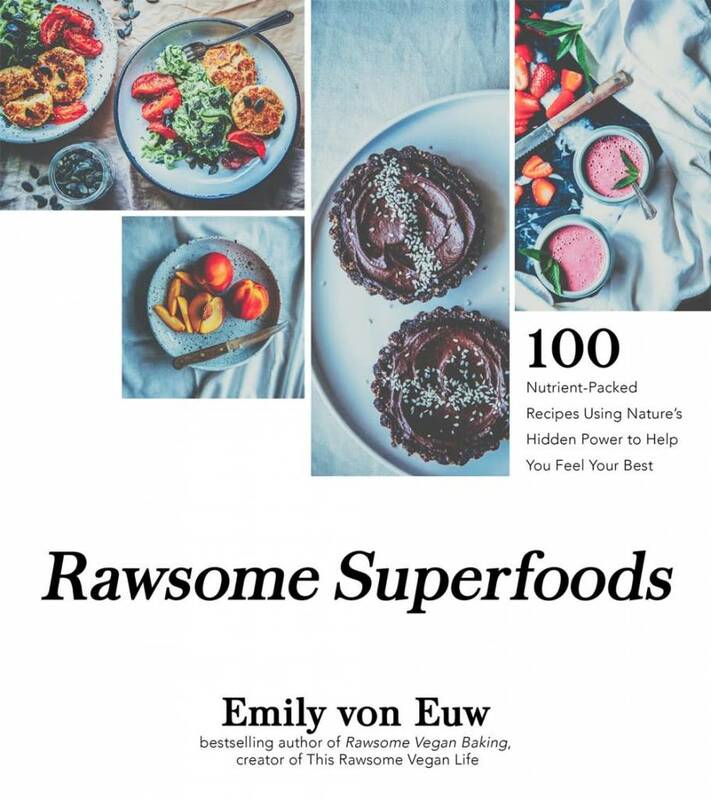 ALL 10 of my recipes came out of your Rawesome Vegan Cookbook! It is my #1 resource for delicious raw and lightly cooked recipes! I've been WFPB Vegan for a year and a half. Thank you for keeping my plates beautiful, delicious and nurturing of body and spirit!! 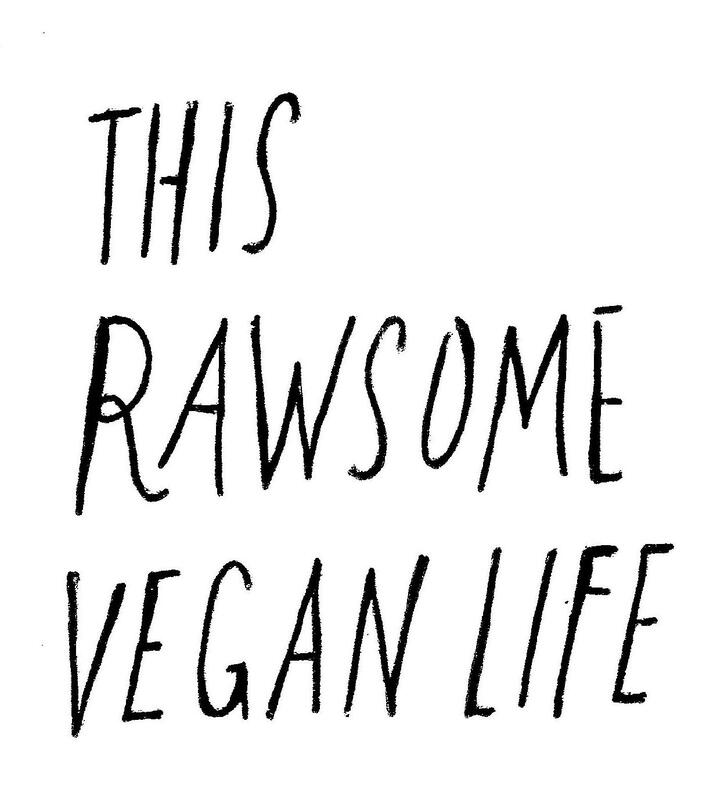 Your book “the Rawsome Vegan Cookbook” is a joy. I have made your Zucchini Noodles, page 39; Summer rolls, page 41; Rainbow wraps, page 21; and today your Pho Bowl, page 59. Deceptivly delicious. My carnivore husband has enjoyed all of the recipes. Tomorrow I will make the Onion Corn Bread. I am 60 years old and have been a cook for 50 of them. I am a fan! LOVE YOUR RECIPES AND THE VEGAN COOKBOOK! Its so funny. Came across a recipe on IG and it ended up feeding back to you here. Please keep up the great work and do another book!!!!! !